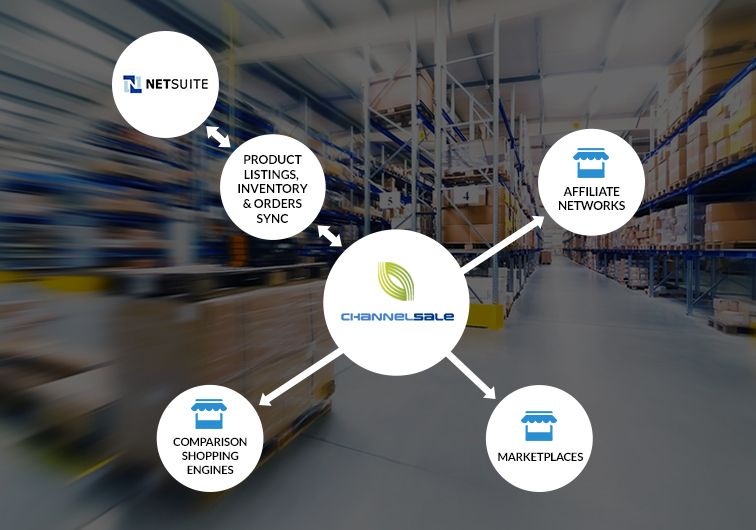 ChannelSale helps integrate your Netsuite store with Google Shopping, one of the largest comparison shopping engines online. Our Netsuite Google Shopping integration services helps push up your sales and we use only the most advanced software management tools in order to facilitate the association between your Netsuite store and Google Shopping. Our advanced Netsuite Google Shopping connector can boost your revenues. We have a team of dedicated marketing experts, who can help you to detect the key areas of development for your business. We can easily find the most appropriate shopping channels and platforms that can improve the development prospects for your store. Other than integration services, we also provide you with help for managing various aspects of your store. Whether you need automated product listing, shipping and order tracking management services or real-time inventory management, you can bank on us. We can synchronize your Netsuite store offerings with the most suitable product categories on Google Shopping by making use of granular level item category mappings. You can make use of our high tech Netsuite Google Shopping extension to make sure that the products of your store are properly synced with those on Google Shopping. We create varied pricing for varied marketplaces. We can mark up costs for Google Shopping, and a variety of other shopping engines. We can supports Netsuite store simple as well as multi-variational items. Regardless of their shape, size, colour and type, we can offer support to your products. We even support group items, bundles, kits and varied items. You can utilize our advanced Netsuite Google Shopping plugin to showcase your store items to the greatest number of buyers in the lowest amount of time, thereby enhancing your sales. If you would like to start immediately, or get some more info on us, you can mail us at info@channelsale.com or call us at +1-866-709-9495 to talk to a ChannelSale Client Service Executive.